Do you feel creatively stuck? Have an impulse to make but not sure where to start? This 4-week series is non-cumulative, focused on waking up to your creative potential, and designed to empower and embolden you through art-making and movement. 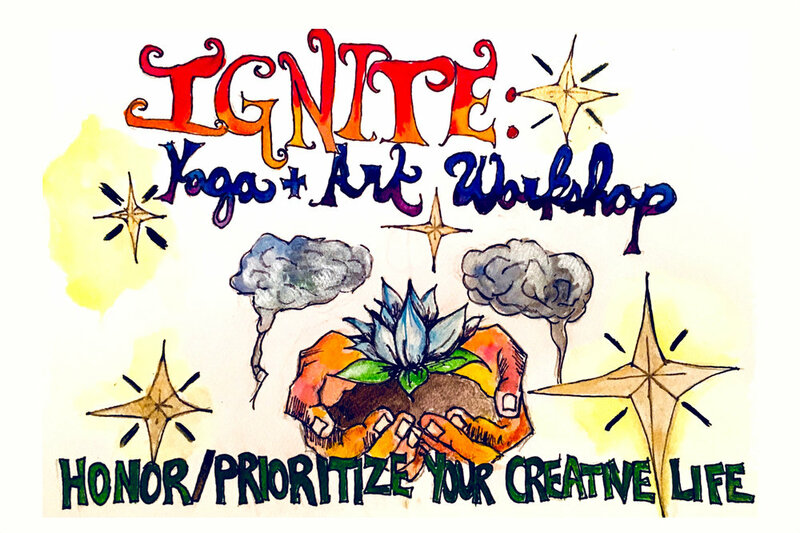 Each workshop connects yoga, meditation, art-making and reflection around a theme. No art or yoga experience required. All materials included. Co-taught by a yoga instructor and certified Art Therapist. $140.00 for all 4 sessions.